The Icarus Voice Alert System (VAS) will trigger a “Don Oxygen Mask” alert at a pilot-settable altitude between 7,000 feet and 15,000 feet. It is a small 3 oz module that you can install in seconds between your headset and the headset panel jack. 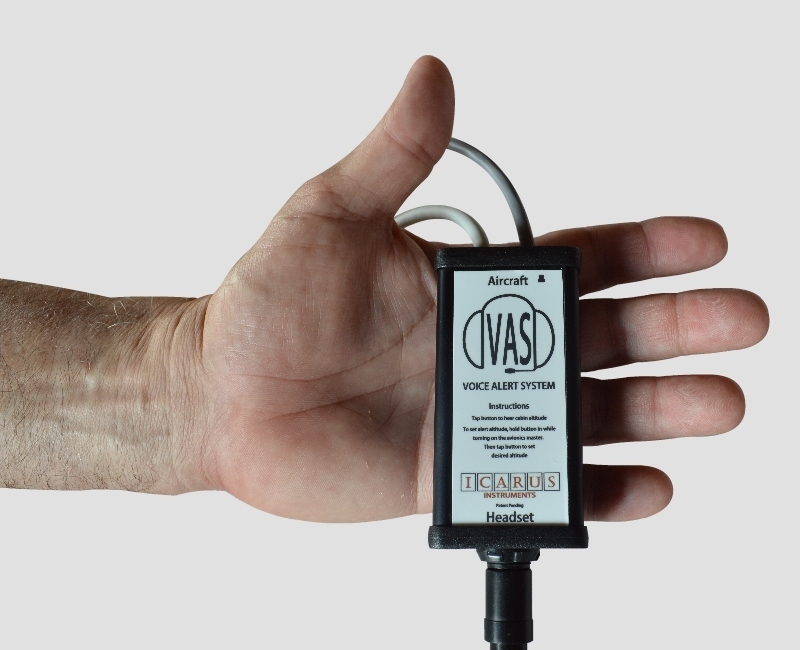 Using a solid-state, silicon pressure sensor, VAS will detect the depressurization of your cabin and alert you long before you are affected by hypoxia. A fail-safe feature ensures that your headset will always be connected to your radios. To demonstrate the cabin pressure audio warning, click on the video to the left. During a cabin pressure leak, the Cabin Rate of Climb goes positive, the PSI differential needle moves down as the cabin pressure decreases, while the ALT needle shows the altitude increasing. In this scenario, the pilot has set the trigger altitude to 11,000 ft. When the cabin altitude reaches 11,000 ft, the warning message “Don Oxygen Mask” is triggered long before there is any possibility of hypoxia affecting the pilot. Click the White Button To Hear the Current Cabin Altitude Message. Pressing a button on the VAS module will annunciate the current cabin altitude as a check of the sensor and all circuitry. 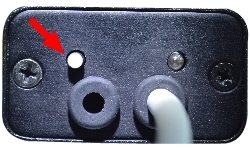 Below is a picture of the bottom of the VAS Unit with the white control button marked.